The Fremantle Dockers took advantage of the wet and slippery conditions at Optus Stadium to defeat Port Adelaide Power by nine points. The win meant little but pride for the Dockers, but it cost the Power a potential second spot on the ladder. As a result of the shock loss, the stunned Power have plummeted to fifth place on the ladder. The game was not pretty and was made difficult by the combination of rain and swirling winds. With their bigger and more mature bodies the visitors won more contested possessions; but the Dockers had raw hunger and pushed more players to the ball. Port could not initiate their running game as their playmakers were cramped and chased by desperate Docker tacklers. Round nine was in keeping with the AFL season so far with upsets, great performances and a bit of controversy for good measure. 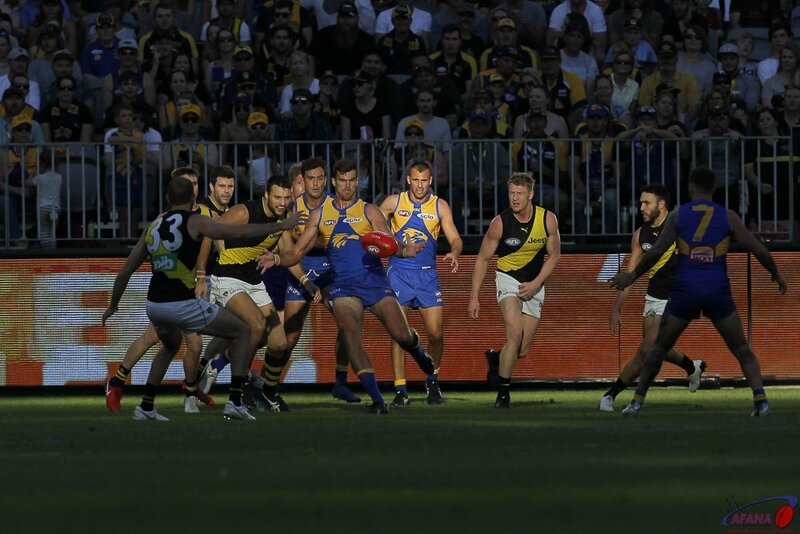 The West Coast Eagles grabbed top spot on the ladder with a big win over Richmond in Perth, Melbourne crushed Carlton in continuing their strong form, and previously winless Brisbane broke their drought with an upset win over the Hawks. Not since 2002, when Nick Riewoldt (drafted in 2000) won the Rising Star Award*, has a Number One draft pick been the winner. Now, Essendon's prized frist selection from 2016 joins Riewoldt in the unique double. He was named and presented with the award on Sept. 1 after an impressive debut season. McGrath, 19, earned his nomination in Round Four against Adelaide. He had 28 disposals, laid four tackles and had five scoring involvements. McGrath becomes the second Essendon player to win the award, following Dyson Heppell's win in 2011.